Folloze, the leading enterprise Account Based Marketing (ABM) sales platform, announced that it is releasing a major upgrade to its ABM software at the Marketo Marketing Nation Summit 2017. 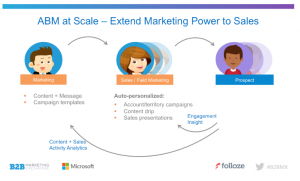 Folloze will now enable salespersons to create auto-personalized content boards that can be distributed at scale to large groups based on roles and target segments. The ABM-specific upgrade will empower users to run hyper-personalized campaigns based on account-specific content for highest customer experience. The new release further enhances Folloze Federated Architecture that already includes auto-personalization, profile-based dynamic content and behavioral alerts delivered to sales in real-time. The new upgrade to the ABM platform is designed to improve customer experience, which in turn drives significantly higher prospect engagement with automated and convenient mailbox communication. The company also announced that Folloze’s solution is now available on the Marketo LaunchPoint platform. 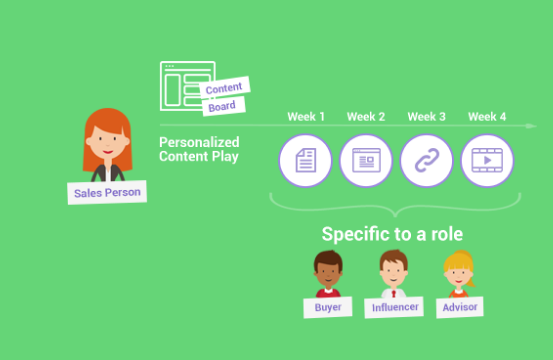 Content Channels allow Marketing to distribute the right content boards to the right salespeople based on their role, target customers, and industries, efficiently empowering enterprises that employ thousands of marketing and sales people. Mailbox integration with Microsoft Office 365 enables sales to manage their customer interactions via their own email client. Content Play allows salespeople to launch customer-specific, content-based drip campaigns. The campaigns are designed by marketing and attached to personalized emails, based on the specific sales situation and area of interest, as determined by the salespeople. Single sign-on (SSO) integration to corporate environments. Privacy and security enhancements for international compliance of enterprise deployments. Comprehensive User Management Console to implement projects with thousands of users. Folloze customers can now see their marketing and sales teams work hand-in-hand to deliver account-specific experiences. In much shorter time, salespersons can build and run content campaigns. Enterprise teams also have the provision to analyze behavioral alerts from the content campaigns to build sustainable customer engagement. As the provider of an innovative Account Based Marketing (ABM) Sales Platform, Folloze will enable salespeople to act as brand advocates and consultants through the selling process, delivering significantly more value to customers and drastically increasing their sales pipeline.